Hosted PBX is an affordable digital telephone system for voice communications that is based in the cloud. You no longer have to provide equipment to run your telephone system. A service provider manages all your communications from an external data center, providing your business with a high-quality telephone service and giving you the opportunity to make big savings and improve customer service. For small businesses, Hosted PBX is a great way to enjoy all the benefits of advanced telecommunications traditionally only available to large companies. Now, you can enjoy benefits like free calls between sites, low-cost long-distance calls, the freedom to work away from the office and access all you communications, and built-in business continuity. And, you can do all that without spending your precious capital. Instead of paying out around $40,000 for an equivalent system, all you pay is a regular monthly fee and buy or lease some phones. Why a Hosted PBX service? With a modern digital telephone system, you can do more than make or answer calls. With the right telephone system, you can enhance the quality of customer service, improve the productivity of your employees, make your business agiler and create more opportunities for business growth. The business benefits come via feature-rich VoIP Telephone Systems that provides services and functions that are just not possible with a legacy telephone system, and you can find out How it Works here. The traditional PBX – Private Branch Exchange – on your premises linked the internal lines on your phones to the national telephone network, the PSTN or Public Switched Telephone Network. If your business expanded, you would have to add more lines to share among the increased number of employees. As well as having a PBX sitting on your premises, consuming power and taking up space, you would need a technician to set it up, add new users, maintain the system and carry out any upgrades. That all took time and cost, and any change could cause disruption. Affordable digital telephone system for voice communications that is based in the cloud. You no longer have to provide equipment to run your telephone system. All you need on your site is a router, a small unit that connects your system to the service provider via the Internet. You must have a good broadband Internet. The total bandwidth you require will depend on your call volumes and the average number of calls happening at the same time. A typical call using a VoIP client will require approximately 30 kilobits per second of bandwidth. Multiply that by the number of users who could potentially use the service at the same time to calculate your bandwidth requirement. Although most broadband services will support voice traffic, there can be quality problems if your service is “contended”. That means you share the broadband service with other users and at busy periods, your service may be too slow for voice and you could have call problems. Check with your service provider for the minimum guaranteed broadband speed you need and choose an appropriate service. You will need phones for your employees, but that doesn’t mean buying a new set of VoIP phones. You can use your existing handsets, they will work with the new system, although they may not provide all the functionality that’s possible with IP telephony. If you decide to take a VoIP (Voice over Internet Protocol) service in addition to hosted PBX, you can use special adapters that enable traditional analog phones to interface with the digital system. If you’re a new business, just starting and you don’t have any phones, you can obtain free or low-cost softphones. A softphone is a software program that you install on a computer or mobile device. It provides the phone services and all you need to make and receive calls is a headset plugged into the computer or a microphone and speaker combination. Alternatively, you can lease telephone handsets for a monthly fee. If you’re obtaining new handsets, make sure they are IP (Internet Protocol) phones. That way you’ll be able to take advantage of all the feature and services of digital telephony. You won’t need additional external wiring if your system grows. The service provider adds the additional phone capacity through software for your VoIP business phone service. You can connect your handsets to your existing data network, if you have digital phones or use adapters. If you retain your analog handsets, you can use existing cabling to link to the Internet router. Your IT specialist can concentrate on other more important tasks because the service provider takes care of the set up, management, maintenance and upgrading of your system.If necessary, you can appoint an administrator with no special skills or technical knowledge to manage the service using a web-based interface. The intuitive interface makes it easy to manage and monitor system performance and liaise with the service provider over any issues. Service providers will also ensure you have any technical support you need and they will take care of any changes to your system, such as adding new users or changing internal extension numbers. Service providers are specialists in telecommunications. They use robust, high-quality equipment in their data centers and employ experienced, highly skilled technical professionals to run their hosted voice systems. Your service provider takes the calls from your business and connects them to any landline or mobile number anywhere in the world. They connect these calls using the services of multiple Tier 1 Internet providers who carry the calls to any destination. To ensure call quality and reliability, service providers invest in robust servers and network equipment to carrier-grade standards. They also install multiple systems in different locations so, if any problems occur, they can switch traffic automatically to other sites to maintain service. Service providers offer a choice of Service Level Agreements to guarantee the service you need, and they operate stringent security levels to protect your privacy and your networks against threats. All of these facilities provide you with a standard of service that you could not match running your own telephone system with a conventional PBX. As well as saving you money, the advanced communications services available from a hosted PBX service can also make you money. Providing better customer service, for example, can improve loyalty and increase repeat business, giving you a great base for growing long-term revenue and profit. These are just some of the many benefits of VoIP communications. Calls are routed over the Internet, so a call to a long distance or international location can cost the same as a local call. Service providers offer different call packages to suit your calling patterns. If you make a high proportion of calls to a particular country or region, you may be able to obtain very competitive rates. If your business operates on a number of sites, or if you have employees or contractors who work from home, calls to those sites are free – all they need is an Internet connection. You don’t have to buy equipment, apart from any phones you might need, so there major savings. You reduce wiring costs because the service provider takes care of any additional phone capacity you need. The internal phone network now runs on your data network, so you no longer need to install or maintain separate networks for voice and data. Running a modern digital phone system requires specific technical skills, which you may not have in your business. You would need to retrain your own people or hire a specialist or contractor at additional cost. The service provider takes care of the operation and technical support of your phone system as well as any internal number or personnel changes or moves. All those costs are covered within the monthly fee you pay for the service. 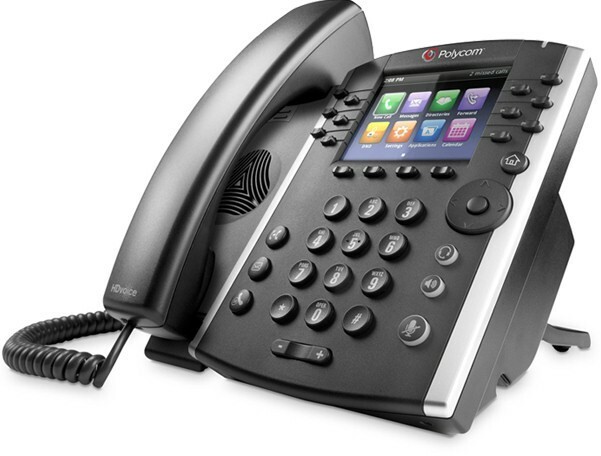 Many digital phone systems require software upgrades every three years, or more frequently. As well as applying the upgrades at your own PBX, you might have to make changes to each of your employees’ phones. The service provider takes care of the upgrades, so that all your employees use the latest version on their phones. This saves you the cost of the software and the labor to deploy it. You can put your capital to more productive use in the business and you won’t incur funding costs, such as interest charges, lenders’ fees or leasing charges. With a hosted PBX service, you pay a monthly fee, which simplifies budgeting and improves cash flow. If you need to expand your system, the fee increases to cover the additional services, but you have no upfront costs to find.Running a modern digital phone system requires specific technical skills, which you may not have in your business. You would need to retrain your own people or hire a specialist or contractor at additional cost. The service provider takes care of the operation and technical support of your phone system as well as any internal number or personnel changes or moves. All those costs are covered within the monthly fee you pay for the service. With a hosted PBX service, you can run your business on a more flexible basis and maintain contact with your key employees and contractors. Employees can choose to work from home, for example. That frees office space, reduces your premise costs and gives your employees a better work/life balance. All the home workers need is an Internet connection and they can enjoy the same phone services they would use in the office. That helps to maintain productivity and efficiency and gives your business greater flexibility. You can also hire part-time employees or contractors to take on specific tasks and provide them with secure access to your phone systems. You might want to set up a virtual Call Center, for example, by hiring agents who work remotely but make and receive calls over your hosted systems. This helps you to expand your business resources without hiring permanent staff or setting up a specialist center. If your business grows, or if the traffic on your phone network increases, it’s reassuring to know you can expand capacity easily. With a legacy phone system and a fixed number of lines, high call volumes could lead to unacceptable delays for incoming calls. To add extra line capacity meant delay and possible disruption to your business. With a hosted PBX service, expansion is quick and easy. The service provider simply adds more capacity and your network is immediately ready for the new levels of business. That’s important if you hire more people, but it can also be valuable if your business has seasonal peaks. Small hotels, for example, or companies making gifts or producing seasonal foods, may require extra capacity for just a few months, while the phone system is adequate for the rest of the year. Service providers can deliver higher capacity for the peak period and remove it at the end, so you only pay for the capacity you need. If your business grows, or if the traffic on your phone network increases, it’s reassuring to know you can expand capacity easily. With a legacy phone system and a fixed number of lines, high call volumes could lead to unacceptable delays for incoming calls. To add extra line capacity means delay and possible disruption to your business. Small hotels, for example, or companies making gifts or producing seasonal foods may require the extra capacity for just a few months while the phone system is adequate for the rest of the year. Service providers can deliver higher capacity for the peak period and remove it at the end, so you only pay for the capacity you need. Moving to a hosted PBX service gives you access to a wide range of advanced telephone features. The basic features make it easy to handle calls with functions like call forwarding, call hold, call transfer, do not disturb messages and conferencing facilities. Voicemail makes it easier to handle your messages with advanced features like voicemail to email and group messaging that improve communications. Auto attendant features can improve customer service by routing calls to the right person, offering a day and night service and providing different types of greeting to customers. More advanced services offer features like Find Me – Follow Me, which forwards calls to home or mobile phones so that people are always in contact. A conference bridge makes it easy to set up and participate in conference calls. Cellphone integration means that employees can use their mobile phones to make and receive calls using the same service when they are away from the office. Hosted PBX offers great business, financial and operational benefits. But, is it right for your business?Commentators believe that small businesses and start-ups benefit from hosted PBX if the company is growing and has employees who work remotely. They need advanced phone features to provide a competitive advantage, but don’t have the technical resources to manage their own system. Companies with static growth, low call volumes and employees working in the same location may not need the benefits of a hosted system. If you feel that a hosted PBX system would be right for your business, you can find out more about our service locations or for quick fact checks try our frequently asked questions page. Canada’s most trusted and innovative IP Telephony provider.